We finally made it! There are no more days to count, no more Spring Training games to play, no more side sessions to throw, and no more simulated games to complete. There is nothing left. It’s happening now. Today is officially Opening Day, our first game of the regular season! As we all know, we’ll be playing the Tigers in Detroit, and Lester will be starting. As we all know, this season is going to be interesting, to say the least. Now, the wait is over. The long, cold winter has come to an end. The lineup: Ellsbury, Pedroia, Gonzalez, Papi, Youk, Sweeney, Ross, Salty, and Aviles, obviously in that order. Baseball is finally here! 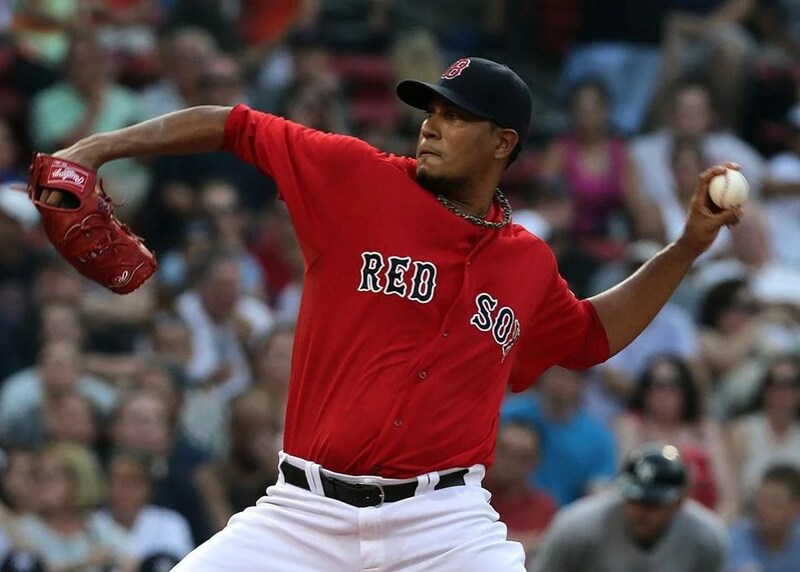 Ladies and gentlemen, we have our final two pitchers: Doubront and Bard, respectively. Since Lester is a lefty, it wouldn’t have made sense to have Doubront be the fifth starter, since then you’d have two lefties starting back-to-back. Anyway, are we surprised? No. Should we be surprised? No. Doubront had a phenomenal spring, and he’s had some experience starting in the Majors before, even if that experience wasn’t always the best. As for Bard, you and I both know that Bobby V. wasn’t about to move him back to the bullpen after he declared that he was going to train him as a starter. And that bothers me because unlike Doubront, who as I said had a phenomenal spring and who was therefore awarded a spot in the rotation based on explicit merit, Bard did not have a great spring and seems to have been awarded a spot in the rotation based on potential and possibility alone. I’m not saying he won’t be a phenomenal starter; I’m saying that I have yet to see consistent glimmers of phenomenalness from him in that role. Still, he’s shown that he can learn from his mistakes. He probably picked up that skill while en route to becoming the next elite closer in the Major Leagues; oh, well. Aceves had a fantastic spring also, and when he did have bad days, he rebounded nicely in his next outing, which is a critical quality for a starter. At least we can count on him for solid long and middle relief. And late relief, at least in the beginning, since Bailey will start the season on the disabled list with a thumb issue that will require surgery and that will make him stay on the disabled least until the All-Star break. This is ridiculous. He started last season on the disabled list with an arm injury, and he started Spring Training on the disabled list with a lat injury, and now he’ll start the beginning of the season on the disabled list with a thumb injury. And don’t even get me started on the fact that we had to trade Josh Reddick to get Bailey in the first place. So Aceves is in line to replace him, in case you were wondering. Yeah, that gives us huge confidence in our new closer. And as if that weren’t enough, Beckett apparently is having some sort of issue with his right thumb. Apparently he’s had this issue for eighteen months. He was examined and is fine to pitch now, but he said surgery could be inevitable at some point down the road. 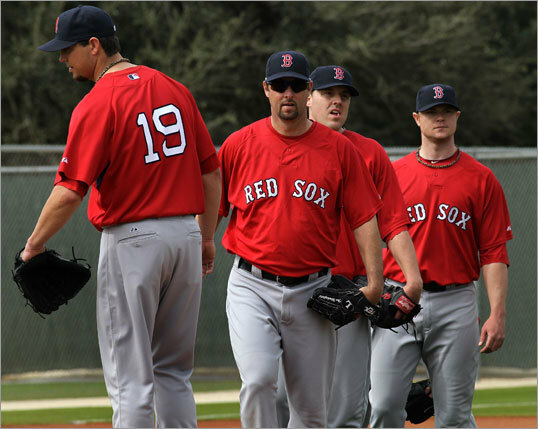 In addition to actually knowing who are starters are going to be, we can be happy that Pedroia is healthy, Papi is in shape, and both Bobby V. and McClure have really connected with the team. We can be unhappy about the fact that Crawford is still out and that Youk, Gonzalez, and Ellsbury haven’t hit a home run all spring. And we will begin the season with nine guys on the DL. Before the season even gets underway, we will have nine guys on the DL. That’s just great. As if we didn’t have enough to contend with during the start of this year’s season already. Those nine guys account, in case you were curious, for $59.7 million. And let’s not forget the fact that Chris Carpenter, the supposedly significant compensation that we were looking forward to receiving from the Cubs for Theo Epstein, is injured and has no command. He is one of those nine. Of course, you might say that at least that frees up some roster space. And that’s true, but that’s only a plus if it’s used wisely. The twenty-five-man Opening Day roster is carrying thirteen pitchers, which means that Bobby V. only has three backup bats on the bench, one of whom is a backup catcher. We beat the Twins, 5-1, on Sunday. Padilla and Atchison both appeared. Sweeney singled, Ross and Aviles doubled, and Ellsbury tripled. Since our record against Minnesota this spring has been four and two, we have won the Mayor’s Cup series, which began in 1993. Since then, the Twins have won eleven series; we have won five of the last six. We beat the Nationals, 4-2, on Monday. Cook pitched five innings and gave up one run on two hits. He walked one, struck out two, and threw forty-three of seventy pitches for strikes. Padilla pitched the sixth. 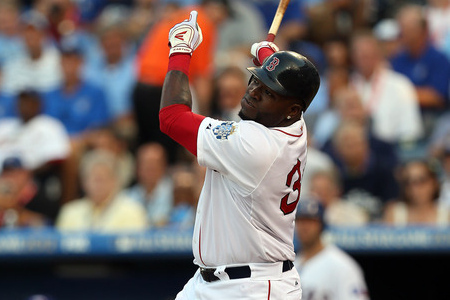 Gonzalez and McDonald both singled, and Papi doubled. We beat the Nationals, 8-7, on Tuesday. Buchholz retired his first twelve hitters but also gave up a solo shot and a three-run home run. All told, those four runs were his only runs; he gave up four hits in five and two-thirds innings. He struck out five and walked none. Bowden and Aceves both made appearances. 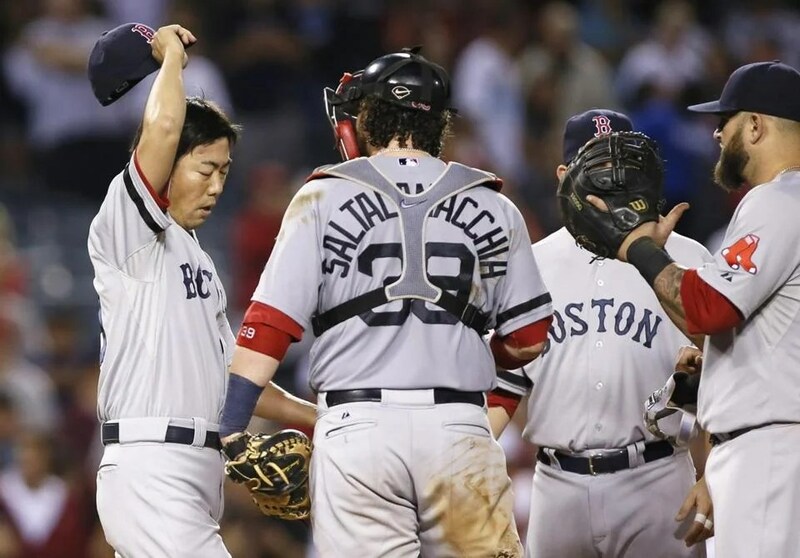 Pedroia went two for three with three RBIs, but the hero was Jason Repko, who ironically replaced Ellsbury and proceeded to hit a tie-breaking double and make a perfect throw home to secure the win. In other news, the B’s beat the Rangers and Penguins. I can not believe this. We just whipped the Jays big time, and yesterday we couldn’t buy a run when we needed it most. That’s the nature of the game, I guess. But it’s brutal. Lackey delivered one of his finer performances of the season. He opened the sixth by allowing a single, which quickly turned into a man on third after a steal and a throwing error by Tek. After he got his second batter to fly out, he was pulled in favor of Morales. Lackey only gave up two runs on seven hits while walking only one and striking out four. He threw 115 pitches, seventy-nine of which were strikes. The velocity was up on his fastball, and his slider was especially deadly. He also threw a decent curveball and a handful or so of changeups into the mix. Meanwhile, the offense was more or less doing its job. Lackey gave up his two runs in the first on thirty-one pitches; we tied the game at two in the second. Two singles plus a fielding error yielded one run, and a groundout yielded the other. We moved ahead in the third; Ellsbury led it off with a triple and scored on a sac fly by Scutaro. We picked up some insurance in the sixth when Gonzalez led it off with a dinger into the bullpen on the first pitch he saw, a fastball. He left the game in the next inning with a tight left calf. Meanwhile, Morales had finished off a scoreless sixth, and Aceves finished off a scoreless seventh. And then we had to give the ball to Bard, who is in the process of showing everyone why he may not be ready to close just yet. I don’t know what’s going on with him. I don’t know why he’s suddenly ruining ballgames. It all started with a five-pitch walk. Bard followed that with a four-pitch walk. And right then and there I knew that something would go horribly wrong. Any pitcher who starts an inning with nine pitches, only one of which is a strike, is in for a long night. And any fastball pitcher who is clearly having trouble with mechanics on the mound is in for a really long night. Anyway, he made a throwing error on a sac bunt that resulted in a bases-loaded situation with nobody out. When he gave up his first run on a groundout, technically it was unearned, but it was unearned because he made the error, so it’s still his responsibility anyway. He then gave up a single that scored two more runs. After that, he induced a double play. Paps pitched a scoreless ninth for naught, Frank Francisco for some reason saw fit not to give up a home run today, and we lost, 5-4. At that point, of course, it didn’t matter that we saved a run at home in the sixth with a textbook play at the plate that Tek somehow completed despite a forceful collision. This is the third straight appearance in which he’s given up at least one run. Since September 5, so in just over one week, Bard’s ERA has inflated by a whole point. Not a fraction of a point. A whole point. It went from 2.10 to 3.10. Good things included Papi’s nomination for the 2011 Roberto Clemente Award and Wake being honored for his two hundredth win. Bad things included Bard. On a different note, next season’s schedule is out. The theme? Division rivalry, as usual. We start in Detroit on April 5 and play the Jays in Toronto before our home opener with the Rays, followed by the Rangers and Yanks. We’ve got three days off scattered among those series before another road trip. The first two weeks of May will be easy; we’re back home for the A’s and O’s, away for the Royals, and then back home for the Indians and Mariners before going on the road for the Rays and Phillies. We get a break with the Orioles before one of two days off in May, and then we’re home for the Rays and Tigers. We’ve got three days off in a pretty easy July, when Interleague is in full swing. We play the Yanks at home before the All-Star Game that should obviously have been scheduled in Boston but is in Kansas City instead for some bizarre and unfathomable reason, and then we play the Rays on the road. Then we’re back at home for about a week before dealing with the Rangers and Yanks on the road again. We play the Rangers and Yanks again in August, but we also play the O’s and Royals. We’ve got a series with the Yanks and two with the Rays in September, and we end the season in New York in October. All in all, lots of division rival games, but they’re mixed in with some easier teams, there’s a nice balance of home and away. And Fenway Park turns one hundred years old! Sounds pretty good to me! Lackey was removed in the sixth. And then we saw a bit of a replay of what happened when he pitched for the Angels in the 2009 ALDS. When he saw Tito come out of the dugout, he was not happy, and he said so. On one hand, that’s what you want to see from every play on the team. You want to see that fierce competitiveness. That’s not something we’ve seen from Lackey in a long time. I mean, he’s always a competitor with perseverance and work ethic, but the fact that he showed it in that way technically can be considered a good thing. It means he had confidence that he could finish what he started and that he knew he rescued himself from an outing that could have tanked to an epic degree and was now on the right track. And he didn’t want to let it go until he did everything he could to ensure that his start would be as top-notch as it was going to get. But on the other hand, it’s not really compatible with the way Tito likes to manage. Tito is a pretty quiet guy. He would never call out a player in public, and what Lackey did was kind of like calling out the manager in public. When Tito goes out of his way to be discreet, he deserves the same courtesy from his players. 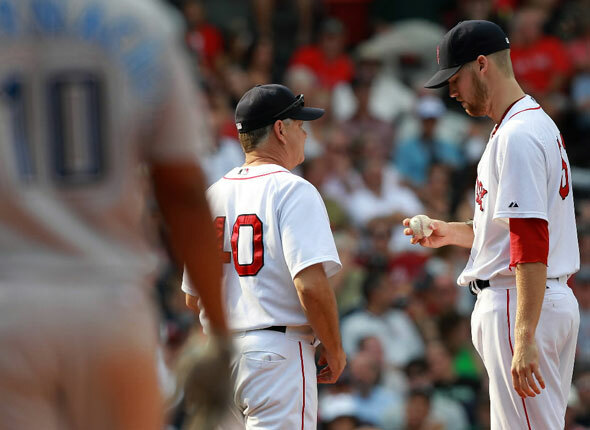 If Lackey had a problem with being removed, he could have told Tito about it behind closed doors, just like Tito would have gone behind closed doors to tell Lackey he had a problem with him. I’m sure they talked it out afterwards and everything’s all good. I guess what I’m saying is that Lackey should feel free to be himself as a ballplayer but to also be mindful of the impact it has and not go out of line. He was taken out in favor of Randy Williams; he left two outs and two baserunners (Damon reached on a fielding error by…Gonzalez? I didn’t really know he knew how to make fielding errors) in his wake. Williams secured the last out of the inning as well as the first two in the seventh, and then we went to Bard, who finished off the seventh and allowed a double in the eighth that facilitated a steal of third but ultimately finished that inning too. Paps came on for the ninth and allowed a triple followed by a single. Luckily, that run didn’t matter. But, like I always say, what if it did matter? It’s possible that that inning would have lost us the game in that case. Closers can’t afford to pitch weakly under any circumstances whatsoever because you never know. The reason why that run didn’t matter is because we totally dominated. Salty walked in the second on five pitches, and Reddick sent a cutter to the very back of the first deck of seats in right field. It was hugely huge; I’m sure his family, who was present at the game, really enjoyed seeing that. It just goes to show you why walks will haunt. We’ll make you pay every time. The festivities continued in the third. 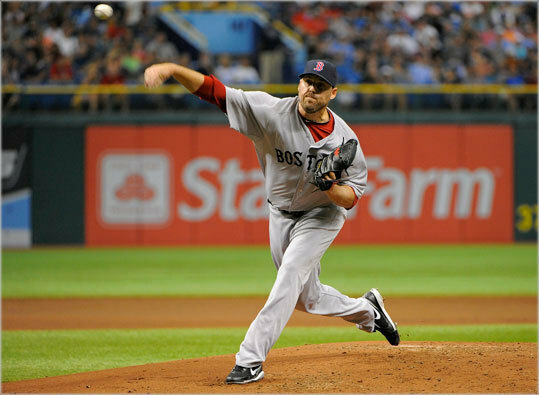 Gonzalez led off the inning with another five-pitch walk, and Youk followed with a single. Papi brought them both home with a double and scored himself on a double by Drew. Ellsbury led off the fourth with a home run. It was a slider, the ninth pitch he saw overall and the first of that at-bat. It ended up in the first few rows of seats in right field. It was his second dinger in as many games. Ironically enough, hitting home runs is not something he was ever supposed to do. Nobody ever thought of him as a power hitter. Not that I’m complaining. The more tools, the merrier. We took a break for a while and didn’t score again until the seventh, when Pedroia smacked a fastball into the stands in right. For the first time in his career, it was his third home run in as many games, and he’s hit seven home runs in his last four teen games. This one was another hugely powerful swing. Here’s another guy who was never supposed to hit home runs. It really is so much fun to watch Pedroia hit home runs. You think he’s such a small guy, but then he just uncorks this massive swing on an unsuspecting baseball and it goes way deep. Even in the ninth, we were still piling it on. Scutaro opened the inning with a single. Ellsbury then reached on interference by the catcher. He swung late, and Jose Lobaton reached out too soon for the pitch, so his glove got in the way. Then Pedroia singled to load the bases, and Gonzalez of all people proved to be the first out of the inning. Youk walked, and Ellsbury scored on Papi’s groundout. And then we were done. The final score was 9-5. It was awesome. I can’t say Friday’s game was avenged because every game counts in the grand scheme of things, but it was heartening to see that the team’s still got it, and the All-Star break may have done more good than bad as far as players’ rhythms and our momentum is concerned. Bobby Jenks is back on the DL for the third time this season. As far as I’m concerned, that’s good news. I haven’t seen anything from him that I’m in a rush to see again. In contrast, Beckett is pitching today in the series finale. Remember that his absence from the All-Star Game was a precautionary move. So we expect good things. Smile, Red Sox Nation! We made it to the All-Star break! At the traditional halfway mark of the season, we’re sitting on top of the American League East, one game ahead of the Yankees. We’re much more battered and bent than I thought we would be, and the standings don’t reflect the kind of dominance I thought we’d surely be exhibiting by now. But given the way we started the season, I have absolutely no right to complain. Instead, I’ll be thrilled we’ve made it this far, even if we didn’t make it this far in one piece. He’s batting .251 with twenty-four RBIs. He has a slugging percentage of .437; he’s hit twelve doubles, two triples, and six home runs. He’s had ten passed balls, forty-nine stolen bases, and only sixteen caught-stealings. His fielding percentage is .997. He has a wicked arm. He’s new to the club, and he’s a starter. Given who he is as a player as well as his position, we expect him to hit fairly well and nail runners. For the most part, he’s done the first but still needs work on the second. Tek’s grade tends to be pretty consistent year-to-year. Part of that has to do with the fact that we don’t expect as much from him as we used to. Now that he’s technically no longer a starter, that’s even more true. As he ages, his value to the team lies less and less in his ability to perform as a player and more and more in his ability to perform as a father figure and team leader. And in the latter department, he excels to the utmost. And he’s still top-notch with the pitchers and defensively, even if we consider him an out that gets easier with every passing year. Over the course of these past few games, he’s really boosted his average, which is now up to .285. He has forty-nine walks, which ties him for ninth in the American League. He has twenty-six doubles, which ties him for third in the American League. He has sixty-three RBIs, which ties him for sixth in the American League. His average wasn’t too high before this last hot streak of his, but he’s certainly been contributing. His fielding percentage is .967, which for him is a little low. Earlier in the season, he was in the middle of one of the longest slumps of his still-young career. He was getting skittish in two-strike counts, and the high inside fastball was giving him a bit of trouble. Now, all of that is in the distant past. His OPS is .837; his OPS over the course of the last seven days is 1.142. As with Youk, he’s boosted his average a lot recently. He’s now up to .284. His fielding percentage is .990. Even if you look at the big picture with the slump, he contributes. If he’s not hitting, he’s walking and playing good D. And if he is hitting, he’s still doing those things. As with Salty, consider what we expect from Scutaro. Given the fact that our shortstops haven’t exactly been the highlight of our lineups in recent years, we expect him to hit decently but play fantastic D. With a .259 average, six doubles, and three home runs, he has hit fairly decently, although he should be batting in more than fourteen runs. His fielding percentage is .977; for a shortstop, I expect more. It’s the most challenging infield position; we’re halfway through the season, and he’s already made four errors. Last year, he made eighteen errors. If he makes another four errors during the second half, that already would be a huge improvement. But our standards are higher than that. Besides, what if those four errors cost us four ballgames? We can’t afford that. Anyone who gives this man less than an A must have the wrong Gonzalez. He has done everything we ever expected him to do. He leads the American League in batting average, hits, doubles, and RBIs (ironically enough, Adrian Beltre is right behind him). He’s third in runs and on-base percentage, fourth in at-bats, fifth in fielding percentage, and tenth in home runs. The only thing he doesn’t do is steal bases, but we have Ellsbury and Crawford for that. Collectively, those numbers tell us that he’s a powerful, durable, and beautifully well-rounded player capable of doing damage in any situation. In short, he is worth every single bit of his contract. It’s not his fault he’s injured. Before that, he was swinging a hot bat and playing well in the field. Not great at the plate but literally flawless in the field. He’s only been filling in temporarily anyway. Sutton may be on the roster for the same reasons as Navarro, but he’s the exact opposite: not great in the field but outstanding at the plate. Same old, same old. Perfection in the field, mediocrity at the plate. It’s really sad that that hasn’t changed. Although I should mention that his highest monthly average of the season, 2.69, occurred in April, when everyone else’s monthly averages were probably at their worst. Given last year’s injury and the fact that his season was therefore cut way too short, Ellsbury has had some catching up to do. Not only has he caught up to our expectations; he has surpassed them. He leads the American League in stolen bases. He’s fifth in at-bats and average, sixth in runs, third in hits, and tied with Youk for third in doubles. He’s set a new career high in home runs so far this year, and we still have half a season left to play. 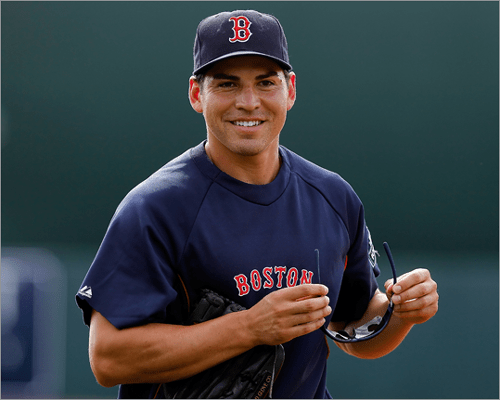 Also worth mentioning is the fact that, over the course of the last seven days, Ellsbury has batted .467. In the field, he has five assists, a new career high, and has yet to make an error. I’d be lying to you if I said I wasn’t thinking about his contract when I gave Crawford this grade. But the truth is that he deserves it. The contract is simply a manifestation of the expectations that both the organization and therefore the fans have of Crawford, who has proven that he can meet and even surpass those high expectations. So far, he’s done nothing of the kind. Before he made his way onto the DL, he batted below .250, failed to post home runs in the double-digits, and walked and stole bases less than ten times each. He also made two errors. He was supposed to excel in every single one of those categories. He was supposed to be the left-handed Adrian Gonzalez who could run. So far, not so much. He said it himself: he’s not contributing at the level he could or should. The added playing time helped him last year; thankfully, we have more guys healthy, so he doesn’t have as much playing time this year. But the art of the bench player is the ability to perform when necessary, playing time or no playing time. He’s just as good as we’ve ever seen him. He performs whenever we need him; he practices the art of the bench player. Obviously, that’s because one day he won’t be a bench player; he’ll be a starter. In the meantime, he’s a great kid to have around. It’s pretty simple. He’s batting above .300 and slugging about .575 with twenty-three doubles, nineteen home runs, and fifty-five RBIs. He’s not supposed to field; as a designated hitter, he’s supposed to slug. And that’s what he’s doing, and he’s doing it well. The team leads the Major Leagues in runs, hits, doubles, RBIs, batting average, on-base percentage, and slugging percentage. Despite this and the fact that there are a good number of players performing well on an individual level, the offense as a whole doesn’t get an A because it’s streaky. Sometimes we’ll average about seven runs a game during a stretch; sometimes we’ll be lucky to score at all. The mark of a good, solid offense is not to sometimes average seven runs a game; the mark of a good, solid offense is to do so consistently throughout the season. That’s not something we’ve seen yet. Until we do, we’ll just be a lineup with great hitters in it, not necessarily a consistently great lineup. We lead the Major Leagues in errors with forty-four, and we’re sixth in fielding percentage with .987. That’s not good. Beckett this season has been a model of consistency in the most positive of ways. 2.27 ERA, 0.95 WHIP, eight and three record, and ninety-four strikeouts and only seven home runs. He’s a changed man from last year; this year, he’s found his former self. I’m going to give him an A because his numbers are fine enough, but I expect more from him. His ERA is 3.31; it should be under three. His WHIP is 1.21; it should be under one. He’s given up fourteen home runs; it should be less than ten. But he has ten wins by the All-Star break, which means he could have twenty by season’s end, and he has more than one hundred strikeouts. Excellent, but not as excellent as I thought he’d be. Before he was injured, he wasn’t as great as he could have been. Unlike Lester, his numbers aren’t that sufficiently good as to warrant a better grade even though he hasn’t performed to expectations. He has a 3.48 ERA, a 1.29 WHIP, a record of six and three, only sixty strikeouts, ten home runs, and thirty-one walks. He’ll need to work hard in the second half in order to return to form. Lackey’s most recent start was the only start this year in which I felt we were seeing the Lackey we signed. During all the other starts, we saw some pitcher we’d never even think of signing. His ERA is 6.84, and his record is six and eight. But you don’t need the numbers to tell you how inconsistent, spotty, and unpredictable his outings are and how porous and lacking in command he’s been. It’s gotten to the point where him being on the DL is a good thing. I think I speak for all of Red Sox Nation when I say that I’ve had just about enough of this. We’ve been waiting and waiting for years now for him to show us even a small glimpse of the greatness he exhibited in Japan. Well, guess what. We’re still waiting. And now he’s done for the season because he needs Tommy John surgery. This could go one of two ways: either he won’t recover well at all and he’ll be even worse afterwards or he’ll make a spectacular recovery and it’ll turn out that the surgery corrected mechanical issues that were the root of the problem all along. Either way, no matter how you slice and dice it, he didn’t pitch well this season. You don’t need numbers to tell you that either. His ERA is in excess of four, and his WHIP is 1.27. But technically his job is no longer to be a starter who can put the team in a position to win every fifth day. His job is now to come in for an inning or two when necessary and keep the team in a position to win, and sometimes, when a starter is injured, to put the team in a position to win. He is on the verge of making history with his long career, and age doesn’t seem to affect him at all. He’s like the Benjamin Button of baseball. He’s the ultimate team player; he answers the call of duty and he doesn’t complain. Sometimes his knuckleball doesn’t dance like it should and he has a terrible night out. But overall, when we need him to do something, he just does it. It sounds simple enough, but not every ballplayer can do it. Here’s another guy who continues to impress. Again, during Spring Training, I don’t think anyone could have envisioned the dominant reliever he’d turn out to be. He’s been as solid as solid gets. 2.55 ERA, thirty-for strikeouts, and almost two innings pitched per appearance. So he’s both dependable and durable, arguably the two most important characteristics of a good reliever. And with the way some of our starters have been pitching, if not for Albers we’d have been in desperate need of a good reliever. He’s been better. Like Morales, he’s a pitcher, and we need pitchers, so we’ll take what we can get and we’ll have to like it. But to be honest I never like the look of a 4.70 ERA or a 1.43 WHIP. He’s appeared in nine games and thrown eight innings. His ERA is zero. That’s pretty good. Yet another Spring Training question mark of whom we’ve seen much more than we ever thought he would. He’s pitched decently. For what we were expecting, he’s not great but not too bad. Morales came into the fold when we were desperate for pitchers, period. He hasn’t been outstanding, but he’s a pitcher, and given our circumstances that’s been good enough for us. His WHIP and his ERA are at opposite ends of the spectrum. The good news is that he has an ERA of zero when pitching in day games. So all we have to do is use him in relief during the day, and we’re guaranteed success. So far, Jenks is an epic fail. Enough said. Bard’s ERA is 2.05, and his WHIP is 0.80. His ERA was zero for all of June as well as July to date. Of the seventeen teams he’s faced in his career, he has an ERA of zero against twelve, including the Rays and the Phillies. He has faced only five batters after throwing fifteen pitches. Not too shabby. If only Paps were as consistent as Bard. His ERA is almost four, and his WHIP is much too large for a closer. And yet somehow he has twenty saves to his credit and has blown just one. He’s on pace to lower his walk total from last year’s, which is definitely a good sign. But as long as I have to hold my breath whenever he comes out of the bullpen, I won’t be able to give him an A. Giving the pitching staff an overall rating is very complicated and in some ways not even fair. The reason why it’s fair for the lineup and not for the pitching staff is because the pitching staff doesn’t have a responsibility to perform well as a unit in the same game. Each pitcher has his time to shine; if he has it, great, and if he doesn’t it’s on him. Ellsbury’s ability to get himself into scoring position may be contingent on what the hitter before him does, but Beckett’s abiltiy to secure a win has nothing to do with the fact that Jenks can’t hold it down. But in keeping with tradition, I’ll grade the pitching staff on the whole. Such a grade must reflect the entire staff, which unfortunately includes some very sad cases. Arguably one of the best managers in club history. Certainly one of the best managers active in the game today. It’s a travesty that he didn’t win Manager of the Year last year. The way he manages all the personalities in this club and maneuvers through injuries, he’s Manager of the Year every year in my book. Jenks and Dice-K (and Lugo and Gagne, while we’re at it) were fails, but you can’t blame him for trying. Crawford can’t be judged yet. Besides, for Gonzalez alone, he gets an A. That deal is one of his masterpieces. It’s hard to argue with the fact that we lead in so many offensive categories as well as in the American League East. Why the B? Because we’re only in first place by one game and we’re already halfway through the season. Granted, we’re pretty injured, and it’s hard to conquer when your staff is on the DL. But in the grand scheme of things, many of those injuries have been fairly recent. Nobody was injured in April. There’s no way we should have had the start to the season that we did. We should have been running away with the division last month, if that late. It’s all well and good to build some momentum during Interleague and take four games from the Orioles, but any team can do that. Our team is better than being satisfied with sweeping Baltimore. We should be sweeping New York and Philadelphia. We have two and a half months to get our act together and show everyone why we’ll be winning the World Series this October. So let’s get on with it already.